NEW YORK -- After falling into a mysterious coma 28 years ago, Martha "Sunny" von Bulow died at a nursing home here on Saturday. It was suspected that the wealthy heiress, who was the subject of the 1990 film "Reversal of Fortune" starring Jeremy Irons and Glenn Close, had been poisoned by husband Claus von Bulow to inherit a large portion of her fortune, estimated at $40 to $60 million. 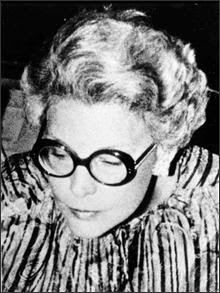 Prosectors contend that von Bulow had forced Sunny into a diabetic coma by repeatedly injecting her with insulin, and had intended to run off with a mistress following Sunny's death. According to nursing home staff, however, Sunny continued to earn her nickname even when deep in the coma that characterized her life for nearly 30 years. "Sometimes when we'd turn her over to treat her bedsores she'd let out a little laugh," said Emma Ramirez, an LVN who cared for Ms. von Bulow since 2002. "She really made this place something special." Paul Honning, Chief Administator for the Mary Manning Walsh Nursing Home on Manhattan's Upper East Side, noted that Sunny was also responsible for helping to solve a serious space crunch in mid-2003. "When we had to convert the game room into more space for patients, they just started playing their games in Sunny's room," he says. "For Christmas Eve, we even laid out a huge spread of potluck food on her stomach and then used her feet to help prop up carafes of spiked eggnog and Christmas wassail. She truly will be missed."